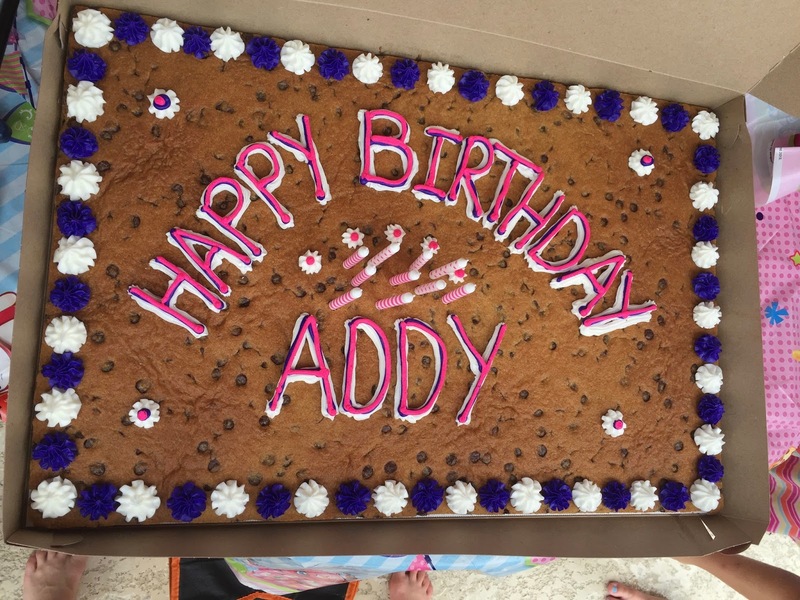 It's hard to believe it but Addy turned 10 this year! and celebrated with pizza & cake. and a special performance by The Amazing Mysterio! And then on Saturday, June 18th, we had a pool party for Addy at the Sienna Resort Pool. The kids had fun swimming & sliding for about an hour. and ate cookie cake during the first safety break. Shortly after the break was over, it started raining so everyone had to get out of the pool. Addy made the most of it though by quickly setting up a game of musical chairs! 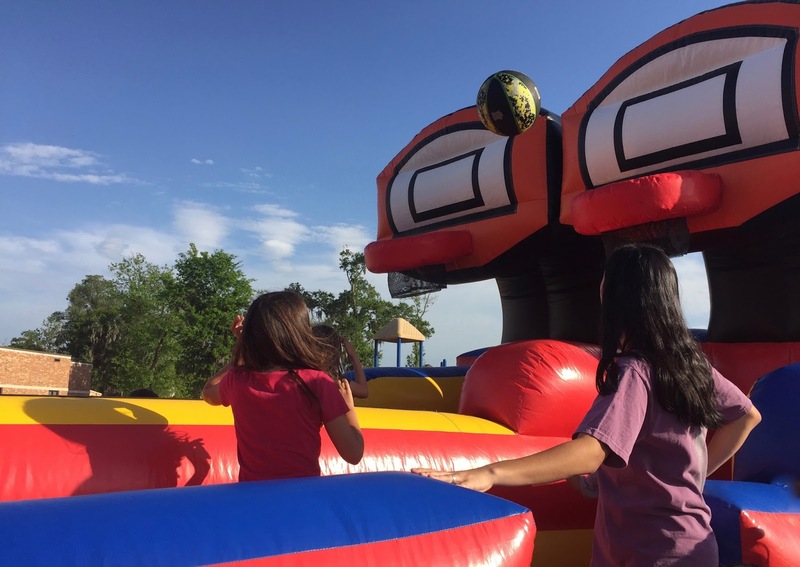 Because what's a party without party games!?! Unfortunately the rain did not slack up. Matter of fact it got much heavier & turned into quite the thunderstorm! So parents were called, kids were picked up & home we went. All in all though, it was a good time! And now my baby girl is not a baby anymore. On April 8th, we went to the school carnival & movie night. and this awesome spinning thing that Alex was too scared to ride! Alex is in the Gifted & Talented program at school and on April 21st, he had his GT showcase. For his project this year, he had to pick an animal to do a research project on. He chose the koala bear. At school, he researched all about koala bears & then wrote a report on them. And at home he had to make a presentation board. I did help him but he still did a lot of it by himself! On May 18th, we went to the Glazery for an end of the year Art Club party. And I painted this elephant! On May 24th, Alex had his 1st grade end of the year awards. And Addy had her 3rd grade awards on May 26th. She got awards for A/B Honor Roll, Promoted to 4th Grade & her class voted her Most Artistic Girl! I'm so proud of my kiddos & all their hard work at school this year! 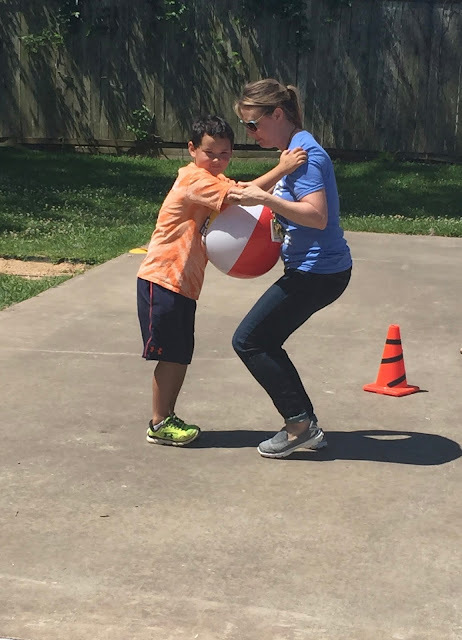 This year Scanlan Oaks held 2 field days, one day for Kinder, 1st & 2nd graders and the other day for 3rd, 4th & 5th graders. Which made it a whole lot easier for me because I didn't have to run back & forth between the kids events! Alex's day was first, on May 6th. 1st grade started their day off with the tug of war competition. His class didn't win but they're not really that competitive in 1st grade anyway. and they got to throw them at the PE teachers! where Alex got soaking wet! After the kids finished up with field day, they went inside & changed out of their wet clothes. Then a little later they came back outside for some Kona Ice! Addy's field day was a couple of weeks later on May 25th. After field day, they competed in their tug of war challenge. Unlike 1st grade, 3rd grade was very competitive.